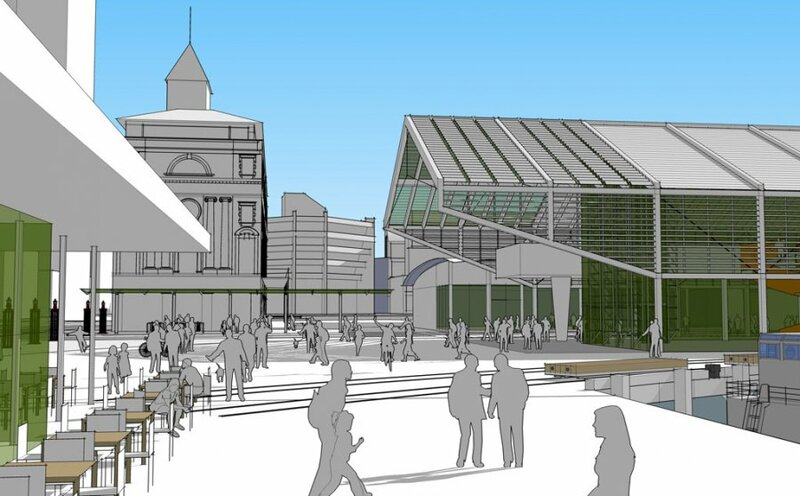 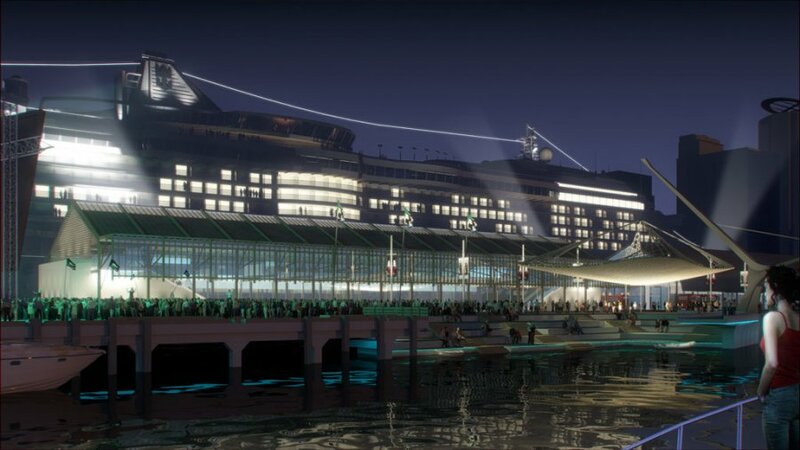 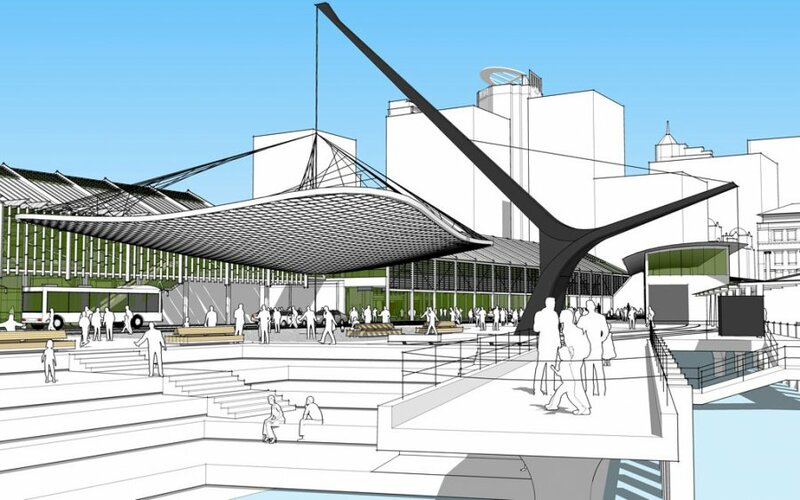 In conjunction with Construkt we were one of eight finalists in the ill-fated competition for public space and a cruise ship terminal on Queens Wharf at the bottom of Auckland’s main street. 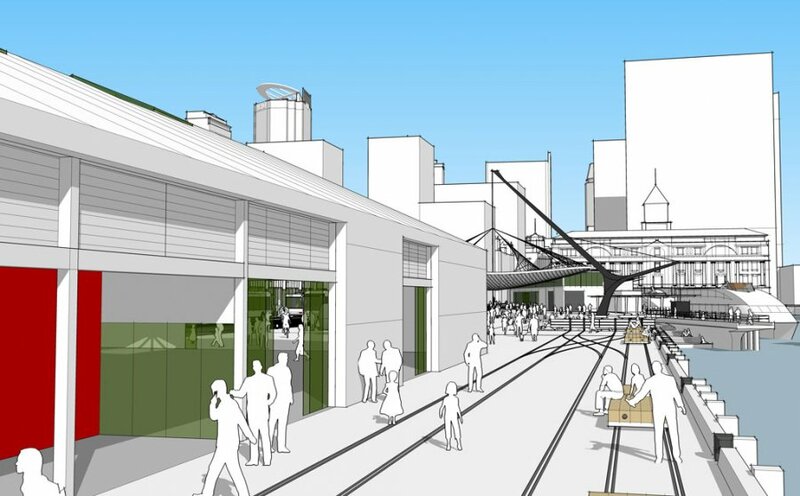 We retained and refurbished the existing wharf sheds and built a new building in the location of the previously demolished “Shed 14″. 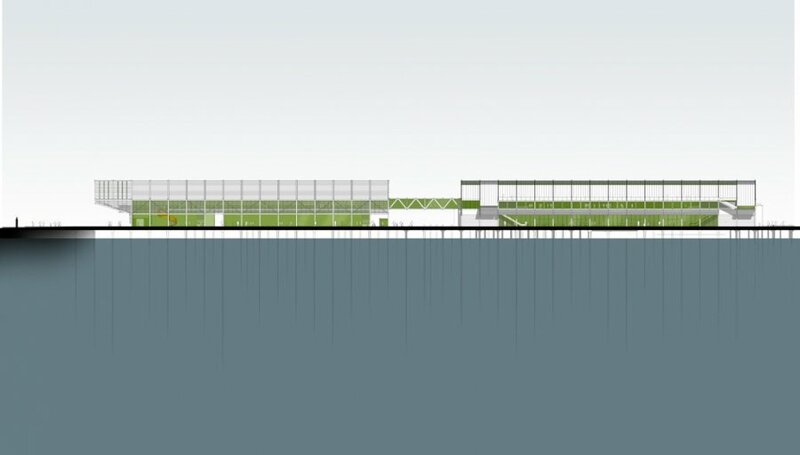 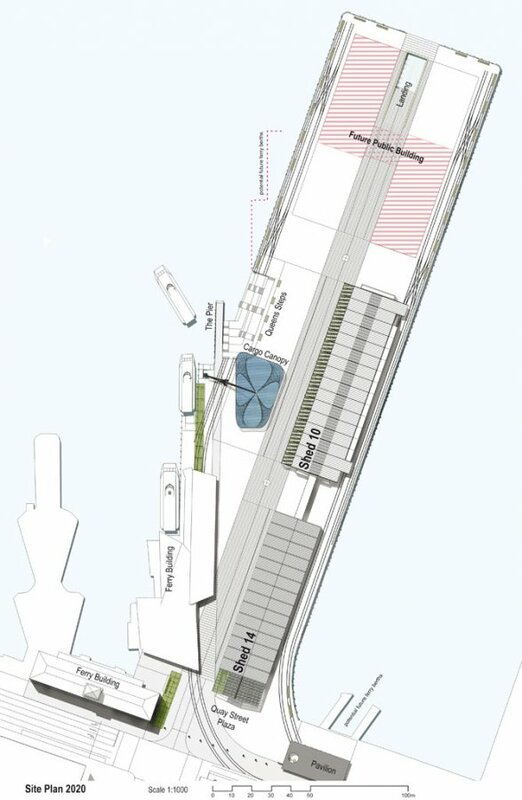 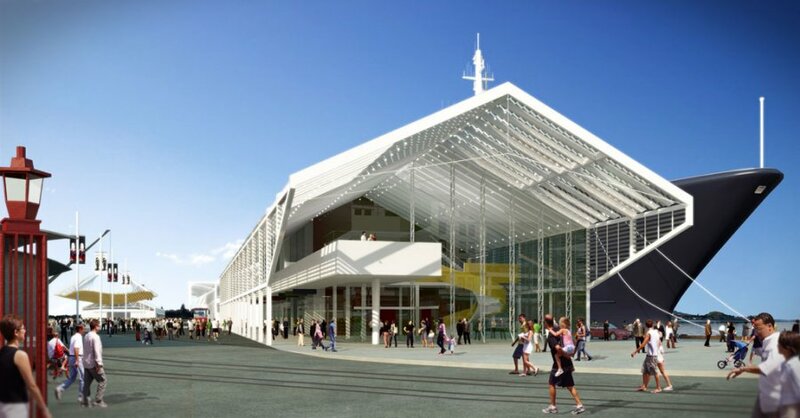 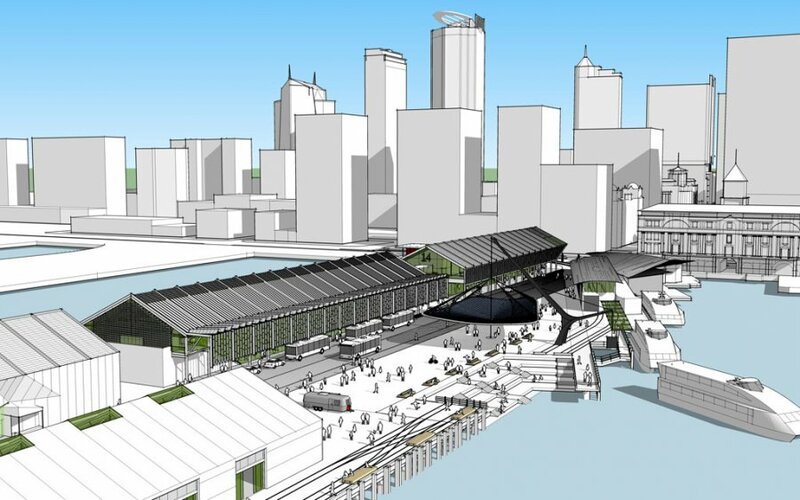 This provided more space for the cruise terminal and helped reconnect the wharf to activity on Quay Street. 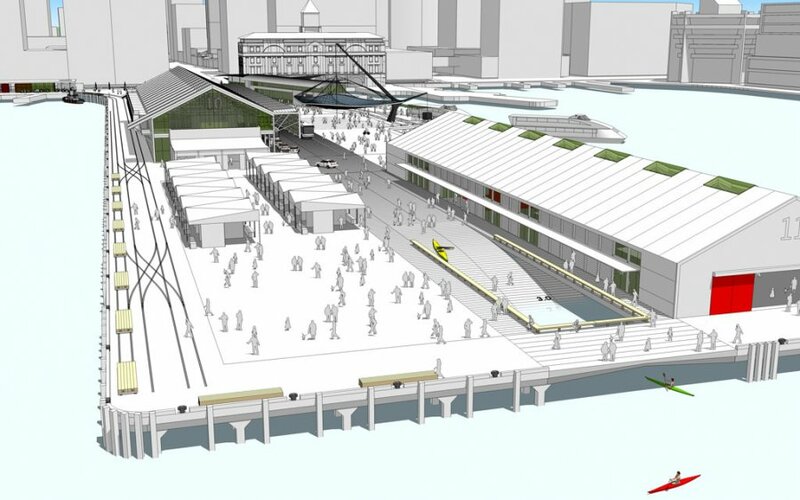 On the western side of the wharf we provided public steps down to the water and extended the number of ferry berths.